More RAC audits—and more denials—are prompting hospitals to shore up their documentation and look for ways to get in front of claim denials. How the orders were initiated and why the physician felt the patient should be admitted rather than held in observation status are just two areas among many that could put the provider’s decision and a RAC auditor’s findings at odds, leaving hospitals with an increasing number of denials. Lori Brocato, audit product manager at HealthPort, says the number of short-stay audits is rising to the point where it’s now one of the most RAC-reviewed issues. “I think it’s because they’re easy to deny as an inpatient stay,” she explains. In addition, hospitals often have no recourse when a denial is handed down because timely filing limits have passed. Unless a hospital has chosen to be part of the Centers for Medicare & Medicaid Services’ (CMS) Medicare Part A/Part B rebilling demonstration project—which many providers are hesitant to do because they forfeit their right to appeal when they join the program—they have almost no options to refile the claim as an outpatient stay, and chances are the entire stay will be denied. The result? “CMS ends up not paying anything for that stay, so the hospital has basically provided care for the patient at no cost to Medicare,” Brocato says. Barbara Allen, general manager of the HIM services division at IOD Incorporated, says many denials center around medical necessity, a large percentage of which focus directly on what she calls “short-stay, high-cost procedures.” While some of these audits are capturing the easy cases, they’re also uncovering another trend that contributes to denials: the failings of physician documentation to meet today’s more stringent regulations. “It often isn’t documented clearly as to why certain patients are admitted with certain diagnoses, and if they’re medically necessary or if the environment is correct for the procedure,” Allen says. Because the CMS doesn’t provide clear guidance for every situation, she believes insufficient documentation is driving many short-stay reviews. Sigrid Warrender, RHIA, CCS, corporate director of HIM at Aria Health in Philadelphia, knows the importance of documentation related to audits. “Having the ability to capture a full range of patient clinical and accounting information, as well as track all carrier requests and denials—without exhausting existing resources—is truly critical for our health system,” she says. Physicians must consider several factors when determining whether observation is the prudent course or the patient should be admitted. Procedures defined by the CMS as inpatient only may have fewer question marks, but without firm guidance things can get tricky. “[Auditors] do take into consideration severity of illness, but they also take in the clinical summary altogether: your social conditions, your comorbidities, and why it would be unsafe for the patient to be discharged,” Baker says, adding that in cases where the patient starts with an outpatient procedure but later needs to be admitted, the reasoning behind that decision likely will be a major factor in whether the stay is approved or denied. When it comes to receiving guidance on short stays, Brocato says many of the determinations vary by procedure. The CMS has listed a subset of procedures that should be handled as inpatient as well as some that should not. “They do have listings on their website of ones that are outpatient procedures,” she says. Even though hospitals may initially deliver care in an outpatient environment, much of a provider’s concern centers on how a patient recovers and the level of follow-up care required. Choosing one route over the other is landing some cases on the audit list. “A lot of physicians are admitting them as inpatient, and they really should just be putting them into observation status,” Brocato explains. When making a determination on the decision to order a short inpatient stay, RAC auditors focus much of their attention on severity of illness, discharge disposition, and patient status, Brocato says. For those procedures that aren’t clearly defined by the CMS as inpatient, she says hospitals can avoid denials by implementing strong documentation programs. The medical record should contain the reasons for choosing inpatient over outpatient in the physician’s progress notes. Keeping diligent and consistent notes also may prove valuable later. “If they do get denials, when they’re doing their appeals, they need to specify in the appeal letter what the rationale was,” Brocato says. Allen agrees that thorough documentation and a clear explanation for the course of action are crucial to surviving a short-stay audit. “They’re usually looking at the procedure code and looking at documentation to determine if the procedure should be an observation and if there are any complications that make it medically necessary to admit or not,” she says. When dealing with private insurance, hospitals typically have clear direction on what is and isn’t covered. In addition, they often utilize the expertise of a case manager who can help with predeterminations. However, because that isn’t always the case with Medicare, Allen says discrepancies will catch the attention of auditors nearly every time. Also, she says adding complications that make admittance reasonable may push a case into the “necessary” category for an auditor. However, he cites a “vague and amorphous” standard, adding that comorbidities and the potential for adverse consequences will continue to influence care decisions while the same criteria will affect whether auditors agree with those decisions. Faced with increased scrutiny, many hospitals are beginning to tighten procedures and, in some cases, change how they handle admissions. “They’re starting to put an emphasis on moving patients over to the outpatient observation side as opposed to the inpatient side,” Markos says, adding that this strategy may address problems stemming from Part A and B payment determinations. If an inpatient admission is denied, the entire amount is recouped. And because Part B determinations require going through the entire appeals process, Markos says, “It’s difficult for [hospitals] if there’s a denial to easily get the Part B payment.” In some instances, he says aiming for a solid Part B payment may be the preferred route if there’s any doubt about the case. Numerous hospitals are emphasizing improved physician education to help avoid short-stay troubles. Brocato says much of the focus is on shoring up documentation so that potentially problematic short stays have sufficient corroboration to withstand a review. “They’re really educating the physicians on what they need to document and what the protocols are that they should be following before they actually admit [a patient] as an inpatient,” she says. Allen believes a proactive approach is key. “Savvy hospitals that have good tools are certainly trying get on top of this,” she says. Most healthcare systems know all CMS audits, not just those of the short-stay variety, carry potentially significant administrative and financial consequences. Unfortunately, even though the issues are becoming well known, there probably hasn’t been enough trending information for hospitals to have a good idea on how to get a handle on the pertinent issues. “They haven’t gone through the appeal process necessarily past level one and two,” Allen says. When clinical judgment is pitted against a RAC auditor that may never have seen the patient, hospitals in some cases are determining that fighting a denial isn’t worth the time and effort. Baker says these more conservative organizations often end up losing a significant amount of money. Meanwhile, other hospitals have decided to take a more aggressive approach. Not only are they ramping up their education so that physicians are clear on documentation requirements, they’re also investing in their case management staff. “These are people who are educated, trained, and certified on how to determine whether a patient should be admitted or observed,” Baker says. 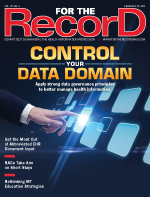 Because the volume of audits has increased tremendously, William Sweeney, chief technology officer for IOD Incorporated, says many hospitals are searching for every efficiency possible to stay ahead of the workload. Some are turning to physician education as a proactive step, while others are seeking out new technology tools to help streamline processes. “Honestly, it’s just about getting these guys some breathing room so they can do things like look at the trend and see what’s happening, look at the [diagnosis-related groups], and then start to think about what they can do to be a little bit more proactive,” he says, pointing out the value of tools that allow for “electronic transfer and tracking of the medical platform” as well as solutions that facilitate avoiding technical denials by submitting records online and receiving submission time stamps. When a case is denied, the hospital receives no money even though many of the services rendered were medically necessary under Part B and meet the definition of observation and outpatient services. Markos says this approach illustrates a problem with the system. “It’s an acknowledgement that the only remedy of going through the administrative appeals process is one that’s costly for hospitals,” he notes. Not only is appealing time consuming, Markos says it’s also putting a strain on the Office of Medicare Hearings and Appeals. “They have been overburdened by the number of cases of Part A, short-stay denials that are now being appealed,” he says. Hospitals are being told what they’re missing or what they didn’t do that led to their claims being denied rather than just being informed the claim was rejected. Brocato hopes that trend carries over to short-stay audits so that hospitals have an opportunity to improve their approval and appeal outcomes.